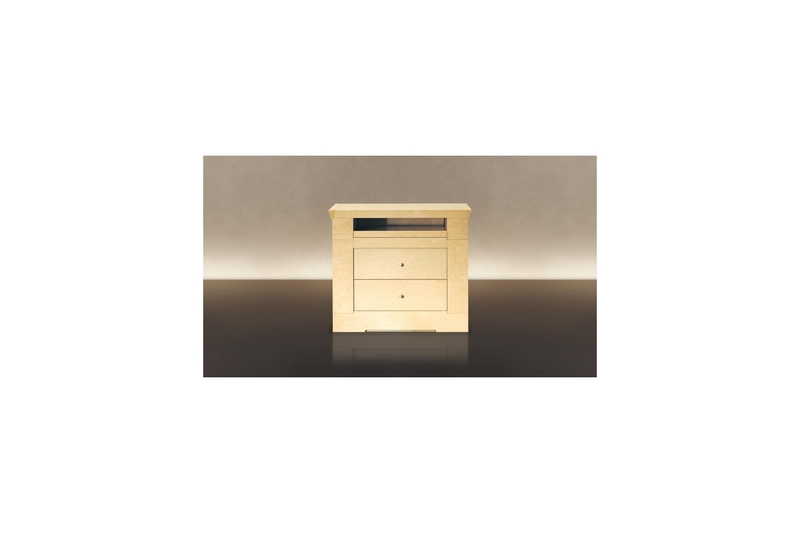 Oli is a sturdy and refined bedside cabinet with the frame in polished maple. The top has a sliding shelf. Each cabinet is available in the following versions: open, with the wooden or glass door, with the flap door, with 2 drawers. The handles and the hinges are in matt painted metal. The feet can be adjusted for levelling.